People should use stronger sun cream to protect against cancer, a journal has warned. People should use stronger sun cream to protect against cancer, a medical journal has warned. Guidelines from the National Institute for Health and Clinical Excellence (NICE) stated that "SPF 15 is sufficient if applied adequately". However, the Drug and Therapeutics Bulletin argued that few people apply enough sun cream, and that SPF 30 should be recommended instead. NICE said the guidelines were balanced and for England, not hotter climates. Ultraviolet (UV) radiation damages the skin and increases the risk of developing skin cancer. Sun cream acts as a protective layer, preventing the damaging radiation from reaching the skin. 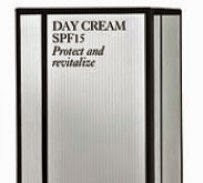 Research has shown that SPF 15 is strong enough if it is applied thickly. The standard is set at 2 mg/cm². For an adult that works out at about a sixth of a 200ml bottle to cover the whole body. Yet many people apply much less, between 0.4 and 1.5 mg/cm². The study said that in reality people were getting "no more than half, at best, of the protection indicated by the labelled SPF". Dr Ike Iheanacho, the editor of Drug and Therapeutics Bulletin, said: "NICE's recommendation to use sunscreens with an SPF as low as 15 is a blunder that overlooks the key evidence and is not in the best interests of public health. "This advice needs urgent review and correction." The journal recommended that: "Products labelled with an SPF of 30 will more reliably deliver adequate sun protection to most people who use sunscreens and would be sufficient to prevent sunburn under most circumstances." Professor Mike Kelly, director of the Centre for Public Health Excellence at NICE, said: "The NICE guidance referred to was not an assessment of which sun protection factor is optimal, but rather was concerned with the most effective ways of reducing skin cancer in England through provision of information, supply of resources and changes to the physical environment. "It also sought to make clear that sunshine can be good for us, in that it provides a good source of vitamin D, and the opportunity to be physically active out of doors. "We felt it was important, in producing this guidance, to maintain a balance - recognising on the one hand the very real dangers of skin cancer, but also remembering on the other hand that we should not extrapolate from research carried out in much hotter, sunnier climates than our own. "We commissioned an expert report on the use of sunscreen in preventing skin cancer in England. According to this evidence, which was presented to the committee, SPF 15 should be sufficient as long as it is applied adequately. "However, the guidance also acknowledges that to take account of people not applying sufficient quantities of sunscreen, SPF 30 was also recommended in an expert paper."